Belgian imprint Token has been a standout label for the past two years. With a back bone made up of Inigo Kennedy and Phase, Token’s speedy and skeletal beats deviate from the current dubby and house tempo productions currently on trend. Other artists to grace Token's impressive roster include; Oscar Mulero, Grovskopa, Go Hiyama and most recently Xhin. 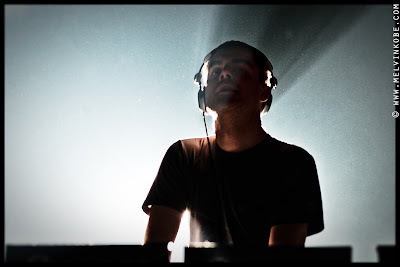 A lack of inspiration toward techno in the mid 2000s saw Kr!z do what many techno cynics should, he started a label. Inspired by the visceral and uncompromising sounds of Axis, Downwards, Blueprint and Cosmic, Kr!z laid foundation to a venture which after 5 years is enjoying many of the superlatives used to describe a clutch of Belgian labels, past and present defining electronic music. 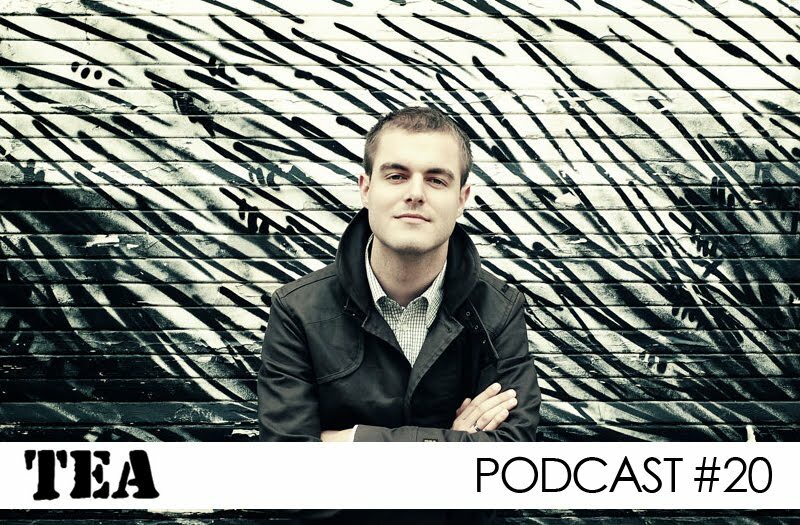 With over a decade of DJ expertise and a penchant for quick mixing, Kr!z delivers a seasoned podcast featuring new, unreleased and upcoming Token material. We contacted Kr!z via email ahead of his podcast for TEA where he spoke fondley of his community library, Daft Punk and (lack there of) black tea. How and where did you records the mix? At home on a Sunday afternoon, still fuelled with energy from Saturday’s gig. I used a mixer, two decks for vinyl and one CDJ for some unreleased material. How did things first begin at Token? I started asking people for tracks in late 2006. I emailed a few artists who I’d been a fan of for some time and that I knew weren't releasing that much music. I was buying records on a weekly basis for my gigs, but I wasn’t enjoying a lot of what was being released at the time. A lot of my favourite artists and labels had taken a break or even quit the scene for various reasons. 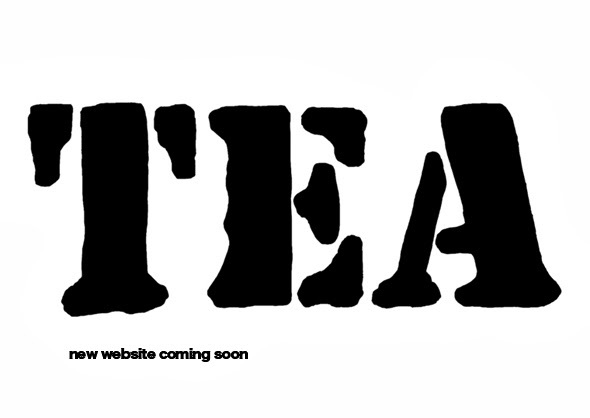 The idea for the label was simple, I wanted to make good records available again. I took a chance and started emailing a few people about the idea of starting my own platform. Inigo was one of the first people to respond and he sent me some crazy tracks. I was really lucky to have those for the first release because it immediately put Token on the map, I guess that was early 2007. Everyone was playing it, sales were good and I started receiving a lot of music by new and established artists. Ashley (Phase) was one of those more established guys. Inigo & him quickly became the centre points of Token. 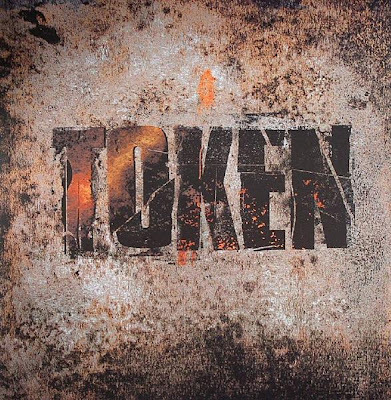 Token releases have earned somewhat of a trademark through their faster BPM's. Is that a part of the Token sound? It’s quite hard to describe the sound. Some call it ‘Dark techno’ but that sounds so cliche and boring, plus we have released music that is ‘not so dark’. Initially the energy levels were really important. The tracks had to have power as well as fit into my sets. The speed of the releases is something that felt natural as I had always DJed with faster BPMs, Inigo & Phase also produce that way. Lately the pace has slowed, but to be honest I don’t care about tempo that much. Hail to the pitch control. I’ve heard DJs play 140 BPM Token tracks at 125 BPM, or play 125 BPM Token tracks at 135 BPM, it’s all good. I think the BPM discussion is as irrelevant as the digital vs analog or the vinyl vs mp3 discussion. Each to their own. What is your relationship with Inigo Kennedy and Phase. It’s a close one. After 5 years, my main focus is still to put out their records and to help boost their profile, basically create more awareness around their sound. I’m still excited each time they send me new tracks and I feel they’re still getting better. We’ve become good friends over the years, so it’s also a family thing. That’s what I want to create with all the artists I’m signing; a good relationship that's not just on a musical level. How have you seen the label develop since 2007? It’s been getting more and more recognition. As I stated before, the first release gave the label a kickstart. After that all I wanted to do was keep the standard high. The key focus is still quality. I spend a lot of time listening to demos and testing them out at gigs before I actually sign them. I think things through to make sure it fits the plan. Sound wise I feel the labels output has remained pretty consistent, at least that’s what I’m aiming for. I am taking more chances now however. 5 years ago I probably wouldn’t have released deep IDM or tracks at 120 BPM. I would have worried that it might not have sold well, or fit into my sets. I don’t really care about that anymore, quality is the only requirement. I am happy to see we have established a following over the years and I’ve noticed it’s a very open minded one. How much has Belgium influenced you and your label? My main influence was through techno parties. Seeing Jeff Mills at I Love Techno for the first time just blew my mind. Same goes for when I first heard Steve Rachmad DJ at Fuse club. Those moments directly influenced me, I wanted to do the same thing; take the dancefloor on a journey, have them follow you throughout your set and control the room with a hypnotic sound. As far as musical output I think my main focus was more on what came out of US, UK & Berlin. As far as Belgium goes I always did keep an eye on Music Man, with all the Rachmad, Dundov, Green Velvet & Cherry Bomb stuff. Great catalogue right there. But for Token I think the main influence came from labels like Surface, Axis, Downwards, Blueprint and Cosmic. Those labels always stood on their own, without compromise. Amazing music, interesting concepts, mysterious artwork. Real art to me. I see you were a big hip hop and drum and bass fan. Tell us about those days, some of your favourite artists and how you made the transition to Techno. I am still a big fan of hip hop. But also jazz, funk, soul, IDM, dub and glitchy stuff. I buy and collect a lot of different music, probably more than what’s good for me. I think it all started as coincidence. I was listening to a lot of terrible music around the age of 12 and 13. I didn’t have any money to buy CDs so I went to the local public library, loaned a bunch of them from the music section and recorded them to tape. After a year or so I had listened to most of the music I that I knew, which wasn’t a lot. I then started taking music home from the eclectic section, my choices were based on the sleeves or interesting names. I digested a lot of crap music, but finally I discovered stuff like DJ Shadow, Gang Starr, Krush, Photek, Aphex Twin, De La Soul and Amon Tobin, all by accident. This was pre CD burning and internet days. I developed a big love for the 90s style of hip hop, mostly jazzy stuff like A Tribe Called Quest, but I was really into Wu Tang & Nas too. I have a few close friends to thank for some important discoveries, but all in all that public library saved my musical life. I was DJing at local parties during this time and in retrospect I was playing some horrible music. I was lucky enough to pick up Daft Punk’s Homework when it came out and I started playing some house after that. Then I discovered techno, bought a lot of bad techno records but I eventually made it to the good stuff. I left out most of the embarrassing moments here. I do, but not on the level that I’m ready to share with the world just yet. I’ve always been really demanding of my artists, to get the best output for Token as possible, so I guess I’m even more strict when it comes to my own material. There will be a release from me in the future, but I don’t really feel any pressure to do so. I have a lot of new music by other artists ready to go so I’d rather focus on that for now. Whats coming up for Token? The new Xhin record is out now. I am really happy with that one, he blessed Token with four genius tracks. We have talked about doing another one already. Token 22 will be by Ctrls of Northern Structures. I liked what Northern Structures did on Sonic Groove a lot, and when I heard Troels solo stuff, that impressed me even more. He’s a former drum and bass producer and he’s definitely got his sound right. There is lot of power in his productions. Ctrls will be a new regular on Token, he’s already working on a new ep. After that there will be some remixes for Phase’s ‘Binary Opposition’ ep. The feedback on that one was amazing and a lot of people were eager to put their own touch on it. The first mixes are coming in and sounding big. Next to that there should be a new Inigo Kennedy record coming soon. Phase’s next ep sounds very promising and there’s a few other artists confirmed that I can’t talk about just yet. Should be a very busy and exciting year. I like black tea, but I’m more of a coffee guy to be honest. Maybe I just need more schooling. I don't think the problem is on my end, but I can't be sure.